For a bluesman, Lil’ Ed Williams looks mighty cheerful. His silver fez and million-watt smile sparkle in the neon aura of the Bradfordville Blues Club, a rural outpost of musical history about 12 miles northeast of downtown Tallahassee. Even with his hometown in a polar vortex death grip, it’s not the Southern climate warming the singer’s heart on this January night; it’s the venue — a cinder-block juke joint at the end of a dark, rutted lane. “When you drive up that lane, you turn the clock back 50 years,” says club owner Gary Anton. One of two Florida sites on the Mississippi Blues Trail, the “BBC” rocks the woods with soulful sounds every weekend. The 1960s-era road house isn’t easy to find, but for musicians of a certain ilk, it’s a holy grail. The band joins a legendary lineup of musicians whose soul-baring ballads have pierced the country quiet…. 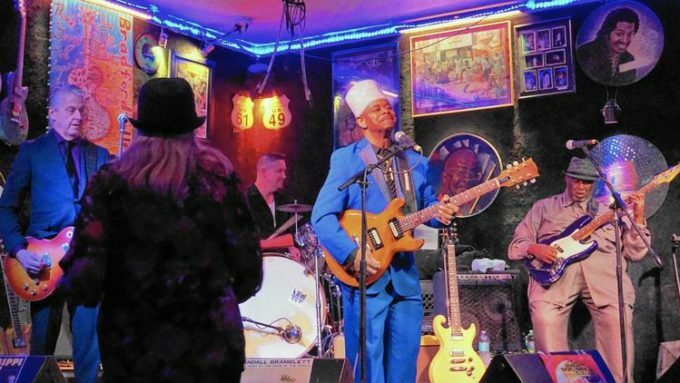 Read the rest of the “Florida juke joint a living time capsule of blues history” story, written by Nancy Moreland in the Chicago Tribune. Lil’ Ed has a knack for having a good time. Their fast and rhythmic music balances well with their slower tunes, which were warm and heartfelt like the campfire nearby that burns all night at the Blues Club. By Chris Wilkinson, in FSU News, after Lil’Ed & The Blues Imperials’ performance on January 26, 2019, at the Bradfordville Blues Club, in Tallahassee, Florida. Lil’ Ed Williams might play the blues but he decidedly steers clear of clichés about being broke and desperate. Rather, the guy revels in letting the good times roll. For the bulk of his career, which started back in 1986 with his appropriately titled debut Roughhousin’, Williams has embraced blues’ rowdy, roadhouse side. A 2012 effort, Jump Start kicks off with “If You Were Mine,” a high-octane number for which Williams cranks up his guitar, and never lets up as Williams indulges in a little Stevie Ray Vaughan-like blues on “Kick Me to the Curb” and consistently keeps the energy level high. By Jeff Niesel before Lil’ Ed & The Blues Imperials show this coming Saturday at the Music Box Supper Club in Cleveland, Ohio. Read the full story in Clevescene. In Milwaukee Community Journal, before Lil’Ed & The Blues Imperials’ performance on Friday, January 11, 2019, at Shank Hall in Milwaukee. WKAR, public media from Michigan State University, will first air Episode 906 of its BackStage Pass show on December 8, 2018, at 10 pm on WKAR-HD 23.1. The show is already available for WKAR members. Grace Carlic put Lil’Ed & The Blues Imperials in her list of “7 shows to see”, before the band’s performance at Funk ‘n Waffles, in Syracuse, New York, this Thursday, November 16. Read the full story in Syracuse.com. 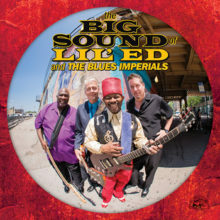 In Chicago, a city overflowing with unrivaled blues talent, world-renowned Lil’ Ed & The Blues Imperials have been standing tall for almost 30 years. 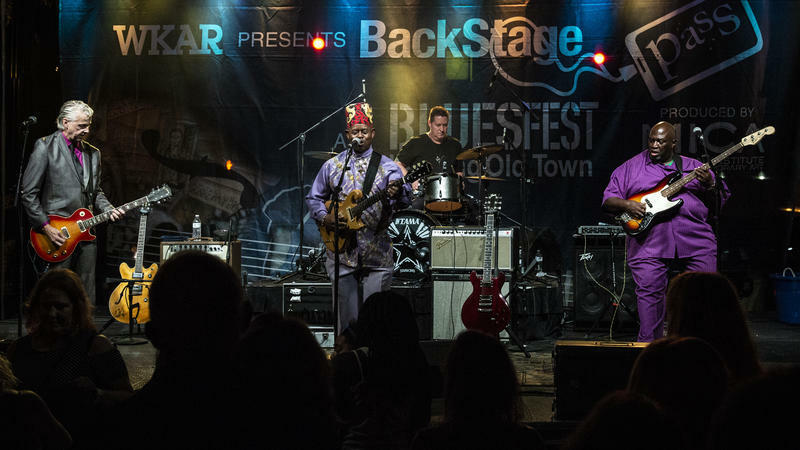 The band’s big sound, fueled by Lil’ Ed’s gloriously rollicking slide work and deep blues string bending, along with his rough-edged, soulful vocals, is as real and hard-hitting as Chicago blues gets. In The Press of Atlantic City, before Lil’Ed & The Blues Imperials show, on October 14, at the Lizzie Rose Music Room, in Tuckerton, New Jersey, on October 14. Currently celebrating 30 history-making years together, Lil’ Ed & The Blues Imperials ply their musical talents with skills that have been honed to a razor’s edge. Mixing smoking slide guitar boogies and raw-boned shuffles with the deepest slow-burners, Lil’ Ed Williams and his Blues Imperials — bassist (and Ed’s half-brother) James “Pookie” Young, guitarist Mike Garrett and drummer Kelly Littleton — deliver gloriously riotous, rollicking and intensely emotional blues. In the Shepherd Express, before Lil’Ed & The Blues Imperials’ performances as part of the Peanut Butter & Jam Concert Series in Kenosha, Wisconsin, on Thursday, August 16, 2018. Read the full story in the Shepherd Express. 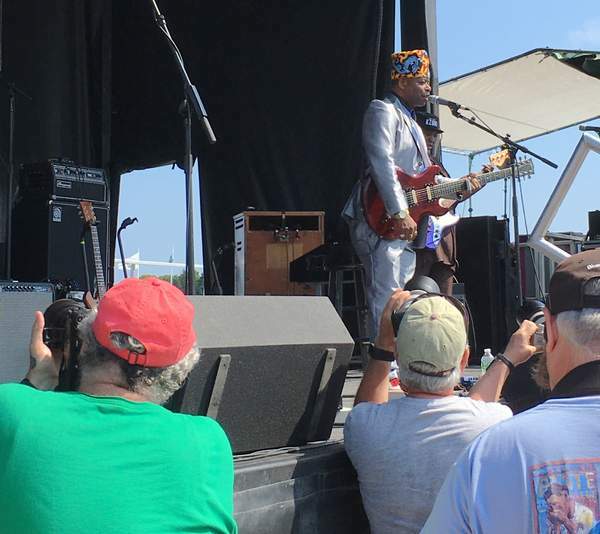 The 25th North Atlantic Blues Festival got off to a rousing start Saturday, July 14, under partly cloudy skies. Festival-goers enjoyed a light breeze, which kept things cooler than in some previous years. And the music followed! 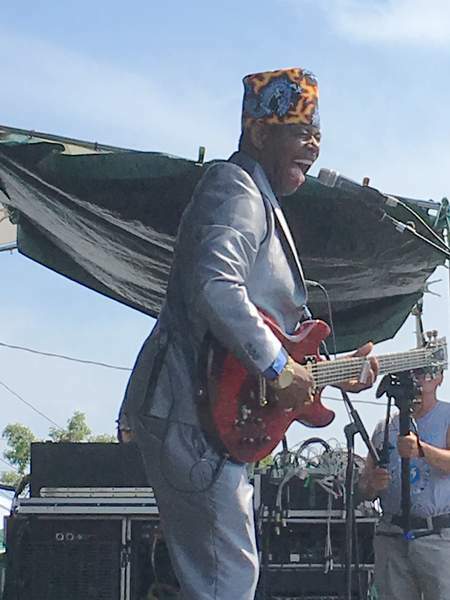 “Blues Festival celebrates 25 years in style,” wrote Sarah E. Reyolds, who published photos of Lil’ Ed & The Blues Imperials for her review of the North Atlantic Blues Festival which took place in Rockland, Maine, on July 14 and 15. Read the full story on Knox Village Soup. 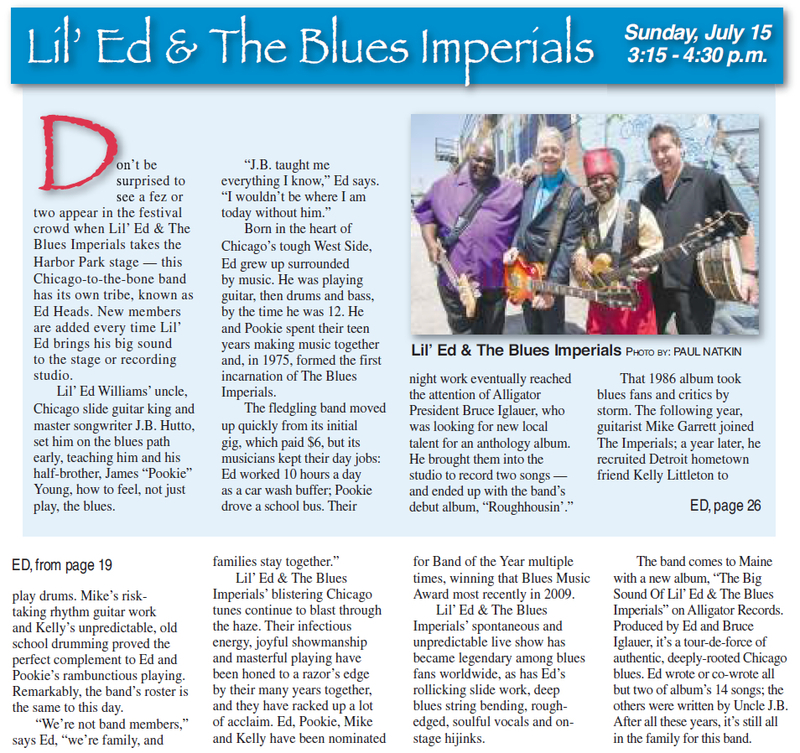 Lil’ Ed & The Blues Imperials (3:15 p.m.) is known for big sound — and big entertainment. Expect great Chicago blues and lots of on-stage, and in-audience, fun. 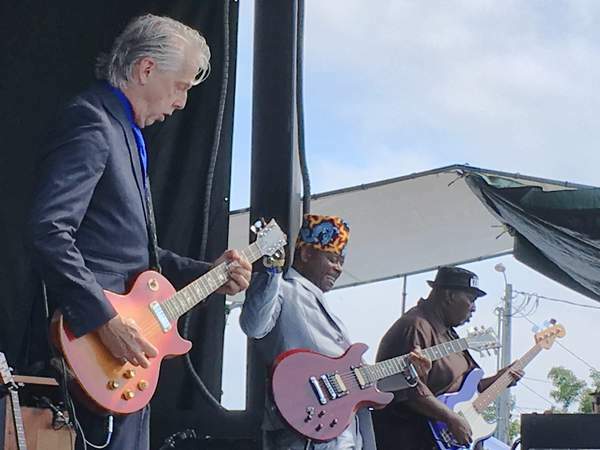 Lil’Ed & The Blues Imperials will give some “Blues we can use”, according to Dagney C. Ernest, before his performance on Sunday, July 15, at 25th North Atlantic Blues Festival, in Rockland, Maine. Read the full story in Village Soup Knox. © 2019 LIL'ED & THE BLUES IMPERIALS – OFFICIAL WEBSITE. All Rights Reserved.